Type of Hearing Final ( HMC Mrs C.E.Mason ). Court to decide who died, how she died, when she died and where she died. Not part of this court to decide WHY she died. There was nothing undue from the external and internal examination of the body. Urine sample - previous medication traced plus ibuprofen too. Level of 1859? Antidepressant - BUT after death the ‘drug’ is sequested into the organs and then may elevate the results compared to a sample prior to death. This may have contributed to her death at these levels but would not have caused it. There were kidney function tests. Citalopram was at a level that contributed to but not caused death. Others were at the level for therapeutic use. Helium analysis not available in the UK. Helium displaces oxygen. Loss of consciousness due to not enough oxygen getting to the brain. It is necessary to rely on circumstantial evidence available. Dr Smith confirmed it is known that large quantities of Helium can cause death. Death was due to asphyxiation – part due to helium inhalation and – other medicinal drugs. Brenda had a Twitter Account and made postings to do with the McCann family. 2210 tweets over a given period of time (??) and 424 (19%?) directly mentioned McCanns. A third party presented a dossier to Met Police including these tweets. When Q by Coroner he said – there was nothing in these tweets which would be a criminal offence. LAWYER for Sky News interrupted here - was told by Coroner that there was no need to reveal that source. Other people made postings to her account appearing after 29th. Brenda did not see postings so they couldn’t have contributed to her death. There were 2 other devices - an iPad with screen on self euthanasation using helium. Between 30 Sept and 2 October internet searches for suicide using helium. These were exclusive searches during this time. Brenda was a social figure in the village and she had close friendships within that village. She had a fractious relationship with one neighbour over a wall or fence. There were emails and conversations that had taken place. There was a verbal altercation with the neighbour and other neighbours and villagers had spoken to her about this argument. She was upset and embarrassed. Brenda didn't like to think she was disliked. This was approximately a week before the reporter from Sky visited her saying Scotland Yard had a dossier on her. He suggested pursuing a legal claim and discussed how to prevent her picture being published. He called solicitors in London at approximately 1600 to 17:00 hours UK time. He returned her call that night and said his mum panicked and went silent. He logged on to her account and she had put a picture of his dog and his location as LA on her account. He still tried to contact the solicitor and wanted to help. He felt the story would blow over. Ben also contacted his father that night to let him know of the situation. On Thursday 2nd of October the story broke on Sky News. Ben had no success trying to contact his mother that day. He contacted a neighbour who had been asked to cat sit for a few days while she lay low. He thought she had gone to other family. An email contact said she felt cheerier. Saturday 4th October Ben received a call from his father about the death of his mother. It was said she had attempted suicide before, a number of years ago. His report continues saying she was very happy in the village however she had struggled with depression over the years and had alienated people in the past. She had difficulty connecting with people. She was undergoing therapy, with medication for anxiety and extreme bouts of depression. She had struggled with health conditions, and had physical, untreatable health issues. He heard panic and fear in her voice after the Sky intervention. It was the final straw. She was broken, weak and completely destroyed by what occurred. The coroner said she had no right to compel a journalist to supply his source of information. A dossier compiled by a third party came into Martin Brunt's hands. He was not willing to say where the dossier had come from. Martin Brunt was asked how did he make the connection between the dossier and @sweepyface as she was not named and there was no indication of a name and address. Brunt said he had done basic Internet searches and found two Brenda Leyland's in Leicester. He linked a photo of a dog on her Twitter account with a picture of the same dog on her Facebook account. He was then to approach her on the basis that she was @ sweepyface. Brunt and a cameraman were in a car some 30 yards away from her house. They waited outside her house so he could try to talk to her, that is standard practice. They were both sitting in a car and the first time Brunt spoke to her was around 10 AM. A car approached Brenda's house and stopped. Brenda's front door opened and she came out rather quickly and walked round to the passenger side of this car. Brunt left his car along with his cameraman, and walked up behind her he called his name and asked her his first question. When asked by the coroner he said it was quite obvious we were a team. Brunt was surprised that she did speak to him. "Why are you using your Twitter account to attack the McCanns?" Brenda turned and didn't really answer the question she turned to get into the car. Then she came towards Martin Brunt and said "I am entitled to." Martin Brunt then said "Are you aware your tweets are in the dossier that's been given to Scotland Yard?" Martin Brunt returned to his car and stayed in the village to shot some footage. He also did his piece to camera. The car Brenda had gone away in now returned. Brunt approached Brenda again as she went towards her front door with her key ready. Brenda said "Come in Martin." Brenda invited both Brunt and the cameraman into her house. She seemed relaxed and they had a half-hour conversation. The fact that she invited us in was a surprise. Brunt told the court that she was clearly concerned about being exposed on television. He said "We caught you on the hop." Brunt offered a more-considered interview in her home but she wasn't interested and they talked. Brunt said she was at pains to explain why she was using Twitter. She was concerned about the fundraising of the McCanns. She was concerned that they left the children alone in their apartment. She felt Twitter was a means to express opinions and she hoped she hadn't done anything unlawful. Martin Brunt also told her that the police were consulting the CPS. She said she wouldn't be using that account again. "Probably won't tweet again." The coroner said no activity was noted on that account after 29 September. Brenda asked "What would Sky do." Brunt replied they would almost certainly use the footage from outside the house. He asked again if she would do more. He didn't know when the footage would be used. Brenda asked "Would Sky identify her?" Brunt said he didn't know but it was likely that they would and Brenda accepted that. Brunt gave her his card and said if she had concerns to call him. He added "I hope I haven't ruined your day." He said that the intention was to contact others [mentioned] in the dossier. The coroner asked him about the process regarding using the footage. He said he went to London and spoke to Jonathon Levi and others. Brenda rang Brunt on the afternoon of his visit asking if she would be identified (and when they'd be running the report?). He said he didn't know and that he'd keep her informed. Brunt spoke to Brenda on the Wednesday night and explained what they would be doing. When asked by the coroner he said he hadn't detected anything in her voice at all. In the conversation she had said " Oh, I have thought about ending it all. But I am feeling better, I have spoken to my son in LA." There was a 10 minute conversation. Brunt said they wouldn't name her or identify the village. Martin Brunt had no serious concern about her (from her voice). She said it was a pleasure to meet you. When asked by the Coroner, he said the suicide remark was a throwaway remark. There was no indication she was serious about suicide. Martin Brunt had no knowledge of her medical background. There was no further contact after that conversation. When asked by coroner he said it was not his decision to run the story at all. He was devastated at the enormity of what happened. LAWYER for Sky then stood up and queried the dates of the conversation. She said it was the 30th September that 'the conversation' took place. The follow up took place on 1 October. He was informed on 22/9/14 by Martin Brunt's line manager of the story - by e mail. He said he had not attempted to contact Brenda Leyland. Ofcom and Sky News has editorial guidelines and they expect their journalists to operate within these guidelines. It has to be demonstrated that 'doorstepping' / 'invasion of privacy' needs to be warranted. The method used was proportionate to the subject matter. Martin Brunt's line manager and a.n.other made the decision to doorstep. Jonathon Levy was satisfied with that decision when he heard it had happened, and that the guidelines had been met. They considered 3. the right option. It was not necessary to fully identify her and create a huge interest by others. They did not identify her and continued not to name her even when other media did so. Brenda Leyland was contacted and J Levy was aware of the conversations. Brenda did have a mental health condition of recurrent depression and certain unstable emotional personality traits. He understood they were lifelong conditions. It would not be obvious to others that she had a mental health condition. She was a very private person with complex psychological endowment. She had very contrasting emotions and conversations. Coroner asked - did she always have full insight into her conversations? Dr Z - yes, she would understand consequences of her actions. In discussions I think she flirted with talk of suicide. He said he was not aware she had tried to take her own life in the past. Coroner - "But the risk of serious harm is always there?" I've noted "not aware of any actions; risk of serious self-harm". Dr Z - yes. He described her as an extremely intelligent lady. Her reaction, could not have been expected by others. And with his knowledge it couldn't have been foreseen. Coroner - her personality would be to trigger such events? Sgt Taylor recognised the name of Brenda Leyland from the media reports and googled some information before leaving the station. First Responder had been in to the scene and there were no life signs and Brenda was pronounced dead. Sgt Taylor knew then that this was the lady who had been in the media recently. At the scene was an iPad which when turned on opened onto a site referring to helium. The scene reflected the instructions on the IPad. There were 2 helium canisters about 30 cms in height each (I'd say 40cms). One by Brenda and one by the bed. Sgt Taylor said these were easily obtainable. There are no regulations around selling them. It is known that helium in large doses can cause death. No notes were found in the hotel room or at the home address. No one had received a letter or text after her death. Sgt Taylor was satisfied that there was no 3rd party involvement. All had been planned by her hand and actioned by her own hand. The events with the reporter, Martin Brunt, and the consensual meeting he feels was the catalyst to the events. The iPad and laptop were looking to a logical sequence. Sgt Taylor knew of no opportunity that could have stopped the sequence of events. I've noted a repeat of the who, how, where, when. I also noted the comment that Brenda 'd been" upset by recent exposure to the media". Brenda was an intelligent and proud lady. It was clear who she was approached by and for what purpose. She was kept informed of the events and what would take place. She was given contact numbers. I am satisfied that although she did have a mental health history others would not know she had mental health issues. She did mention she wanted to take it (her life) but she was cheerier. Nobody was to know she would take her own life. There was evidence of research (about suicide) without anyone else knowing. She bought the helium canisters and took herself to the hotel room. She had researched the method and the scene mirrored her internet research. There was no note left. It was clear that the preparation was her own and there was no 3rd party. She had insight into her own behaviour. Finally, the coroner expressed her concern about the regulations regarding access to helium. We arrived at the Town Hall at 9.15a.m. The square was already awash with the press. 4 camera crews were filming us as we walked up to the doors. At least a dozen Journos of varying flavours. Brunt's walk of shame happened at 9.20. He spoke to no one and went straight in not to be seen for an hour. Met Jon. Met Sonia Poulton and her crew. We were all in the Foyer waiting for the court doors to be opened when in came R****** S*******. 5 ft tall, huge sunglasses, bleach blonde hair, black coat, black trousers, hideous purple plastic 'Dolly' shoes and matching nails. To say the room was shocked would be an understatement. There was the merest hint of a communal sharp intake of breath. Brazen is the adjective that springs to mind. She even smirked as she recognised me. Upstairs we went to the public gallery. S******* sat right next to my bestie. She asked if she could borrow a pen. I said 'No'. She used her mobile to take her notes. There were 11 persons in the press box. There were seventeen in the public gallery. The minutes ticked by. It was around 10.20 when things began to get underway. The Coroner, Catherine Mason was fairly young, around 35, blonde. The tension began to be palpable. The Coroner started by outlining the scope of the inquest. It was only to be WHO, How, When and Where the person died. NOTHING ELSE. No circumstances, no fault, no blame. A full enquiry was/is? being done by police. Then something I missed about Rule 23 ????? Doctor West was the Pathologist. Who was NOT THERE. The Coroner listed the witnesses that would be giving evidence. The Coroner touched on the opening of the inquest where the body had been identified and evidence given by Ben Leyland and Brenda's ex husband Michael Leyland. Brenda died on October 4th and found? at 14.05 hours at the Marriott Hotel. Dr Smith takes the stand. He is barely audible, young, mumbling, and as his evidence progressed I began to pray I never Died in Leicestershire. The toxicology report was as follows. She was under the drink drive limit for alcohol. She had also taken a therapeutic dose of Paracetamol, Therapeutic dose of Codeine, and an antihistamine at normal dose. I nearly fell off the bench. THAT made everyone look around and raised a few eyebrows. The level of Citalopram was 1895 units. The norm is 20 to 50 BUT the pathologist said 'at death the fat cells that store this drug release it back into the bloodstream. So the raised levels could very well be due to post mortem release to an artificially high level. Her Kidney function was normal. Between November 2013 and September 2014 Ms.Leyland tweeted 2210 times. 19% of them were #McCann related. The dossier was handed to the Met by a third party. It was deemed NOT RELEVANT. Brenda's tweets re; McCann were not illegal and did not cause offence. If a crime has NOT been committed then the journalist does not have to reveal his source. There was no offence by journalist. Ms Leyland did not tweet again after 29th September. Some tweets ARE 'Subject to enquiries outside of this investigation'. She had an I pad at the Hotel and a Laptop at home. She had researched Death by Helium. From 30th Sept until 2nd October her internet was exclusively suicide related. Specifically Helium. She had also searched for private garage rental. My impression of Hutchins; Ill fitting shirt & tie. Dark suit, shaved head. He was quietly spoken, mumbling and difficult to follow as he had his back turned to the public gallery most of the time. I didn't like him) Looked like a more wimpy Mitchell brother from central casting. The written evidence given by Ben Leyland. Her youngest son. She was divorced in 2001 . She moved from Oadby to Burton Overy post divorce. She had had a dispute about a wall/fence with a neighbour . Emails/conversations etc. A few days before (sky) she had had a dispute with the neighbour she was upset, angry and embarrassed. That was a week before SKY. Tuesday 30th Sept she phoned Ben. 'I've been tweeting about the McCanns'. Sky had turned up. She was afraid of the claims made by Brunt. They tried to stop the media. Ben contacted their solicitor in London. He was hoping for further contact with solicitor. He was unhappy, he called his dad over it. To make sure she was OK. He was still waiting for the solicitor. He was sure the story would 'blow over'. The news story broke on Oct 2nd. Dad, brothers tried to contact her. They couldn't reach her. The issue of suicide was brought up. Brenda had contacted a neighbour about looking after her cat while she was going to 'Lay low'. There were reporters outside her house. She emailed Ben on Wednesday. She said she was 'Cheerier'. Saturday 4th October she was found dead. She had tried previously ( a long time ago) to commit suicide. She was Proud, Very happy, Was quiet as a younger person. She failed to sustain relationships. Was a depressive. She had previously been to a clinic for depression. She was a depressive throughout her life. She had untreatable health issues. Sky was the final straw. It broke her!. The evidence of Martin Edward Brunt. Journalist. He states that the dossier came into his possession by a third party. Asked to name the person HE REFUSES. Brenda was not named in the dossier. But the source knew where Brenda lived and her name. He got the information from a TWEETER. He went to her house. He parked 30 yards away with his camera man. at 7.00a.m. At 10.00 a.m. Brenda came out of her house. He followed behind her and called out her name. The Coroner then asked Brunt if he had identified himself to her. Brunt said 'It should have been obvious because of the camera'. He was surprised she spoke to him. He asked her why she was 'attacking' the McCanns on Twitter. She said she was entitled to. They stayed in the village for 1&half hours. shooting footage. both of them went in. She appeared relaxed. They conversed for 30 minutes. She talked to Brunt about the McFund. She had questions about that. She also questioned the childcare arrangements of the McCanns on that holiday. She said Twitter was a means to express her feelings and she hoped she hadn't done anything illegal. He says he told her inside the house that the CPS were considering prosecution. She said she probably would never tweet again. Asked what he would do he told her that she would be on SKY. 'Will you identify me?' He said he would use the footage of the outside of her house. He gave her his mobile number and email. He said they had many other twitter handles in the dossier. Sky implied they would be outing others and doorstepping them. Brenda had rung the next day ( 30th? )and asked when the expose would be happening. He said he would keep her informed WED NIGHT. Explained what would be shown. She said she was feeling better after having a drink and speaking to her son in LA. He told her he wouldn't name her or the village. They had a 10 minute conversation. He had no serious concern about her. He didn't know her History. Brunt didn't decide to run the story. His line manager did. He was out of the country when told she was dead. He said he was devastated by this and still was. The evidence of Jonathon Levy. News Editor. On the 22nd September 2013 Brunt's line manager spoke of running this story. Guidelines on Doorstepping or invasion of privacy . It depends on the 'Amount of common good ' That's what warrants it. There were 3 options regarding the identifying of Brenda. He exits no doubt planning an extravagant lunch on his account. He had had no consultation with ms.Leyland . He saw her years ago. He was not aware of actual suicidal thoughts. She had full insight into her own emotions. He was not aware of any suicide attempts. The doorstepping could have contributed to her death. The evidence of Sergeant Taylor. PC 379 Now based in Loughborough. He was on patrol. He got a call at 13.50 there was a deceased person at the Marriot Hotel. Room 449. There was paramedic and an other female PC there. The STAFF at the Hotel found her. The policeman knew about the SKY expose. SOMEBODY googled her , found the newspaper story and printed it off for him. There was an IPAD in her room, open. They tapped the screen and the browser site was Helium. She was on a Kingsize bed. On her back. The Ipad next to her body. He touched the screen and it popped open on the Helium site. 'Did the scene mirror the instructions on the screen?' Yes. he said. There were two cans of Helium. 1 at the side of the bed on the floor. The other cradled in her arm. Asked how big they were he opened his hands about ten inches and said 'Two, about this size'. There are outlets that sell them. There are no regulations regarding the sale of Helium. Not in the room and not at her house. There were no communication texts after the 29th Sept. They were SATISFIED THERE WAS NO THIRD PARTY INVOLVEMENT. Police say death by her own hand. Police say Brunt was catalyst. Police say Nobody could have stopped her. The summing up by The Coroner, Catherine Mason. There are many issues surrounding this death. But she is only concerned with WHO, HOW, WHEN and Where this occurred. 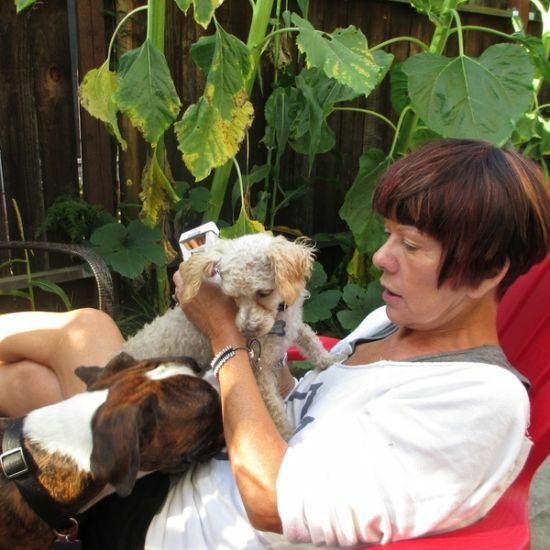 Brenda was Intelligent, Loving and proud. She was informed about when and how Brunt's piece would run. It was a scene that mirrored her research. Asphyxia due to Helium inhalation + Drug Citalopram toxicity. The Coroner would be raising concerns about the sale of Helium. Persons of interest include Sky staff, and family representative. Toxicology was required because his internal/external examination showed no proof of cause of death. We will have to post this at a different time as we cannot get a full statement but it is not pleasant to hear. A picture of distress and panic is being painted, as though she had no choice but to contemplate suicide. Brunt is not willing to reveal the source of the dossier. MB describes how long his crew stayed in the village, after which the car returned, when "Brenda asked me into her home, where we spent time chatting..."
Unbelievably, Brunt says he hoped he hadn't "ruined her day..."! Brunt's stepping down, Jonathan Levy stepping up. 3 options considered, they chose to identify her only visually, but not to name. They decided against obscuring her face, on the basis of the story, being one of twitter identity. Brunt and Levy have now left, other members of Sky may still be present. Unsure on that. She asks cop 'what conclusions have you drawn?" He replies that "he will be honest...."
Brunt told the inquest Leyland told him she tweeted about McCanns because she had concerns about fundraising. She seemed relaxed - I offered her the opportunity to do a full interview but she declined. I told Brenda Leyland we would use the "engagement" we'd had outside on camera.....she seemed to accept that. After our meeting Leyland told me over the phone, prior to the news item being aired 'oh I have thought about ending it all but I'm feeling better now - I've had a drink and I've spoken to my son in LA.' 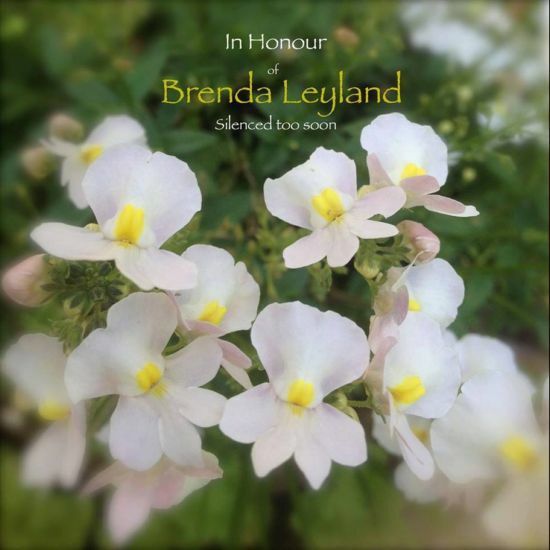 I was devastated to find out that Brenda Leyland was dead." 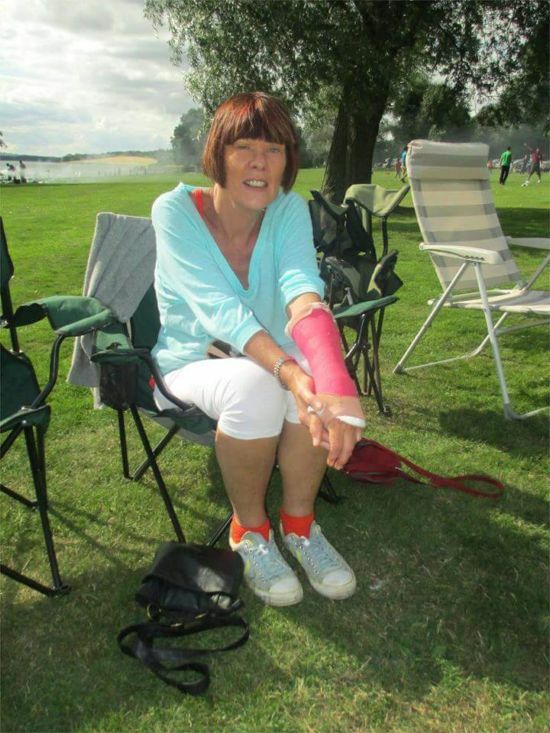 20 March 2015 at 11:19am Police evidence at inquest into alleged internet troll death A police sergeant has told the inquest into her death that Brenda Leyland had spent the last days of her life looking online about suicide methods. 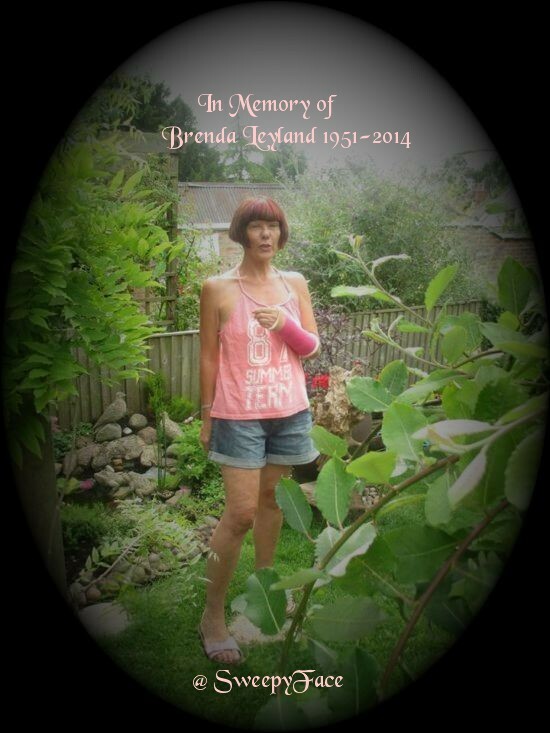 Brenda Leyland was 63 and lived at Burton Overy in Leicestershire. Her family are not at the inquest but several "supporters" are in the public gallery. 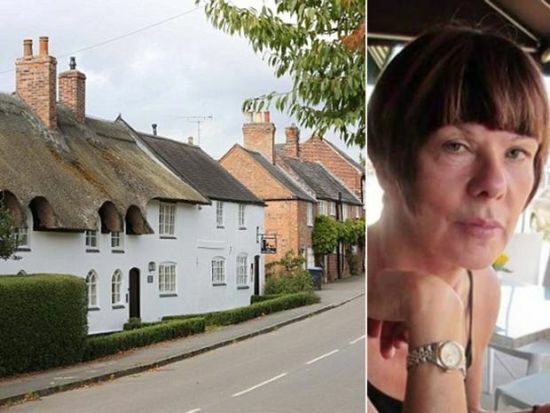 The Coroner has recorded a verdict of suicide in the death of 63 year-old Brenda Leyland from Burton Overy in Leicestershire. 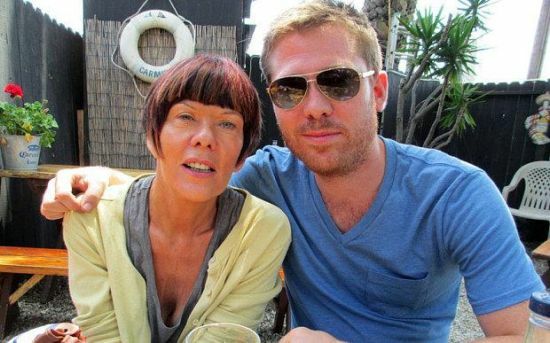 She was found dead in a hotel room after consuming drugs and alcohol, two days after being confronted on Sky News as an alleged poster of internet hate messages about the parents of Madeleine McCann.